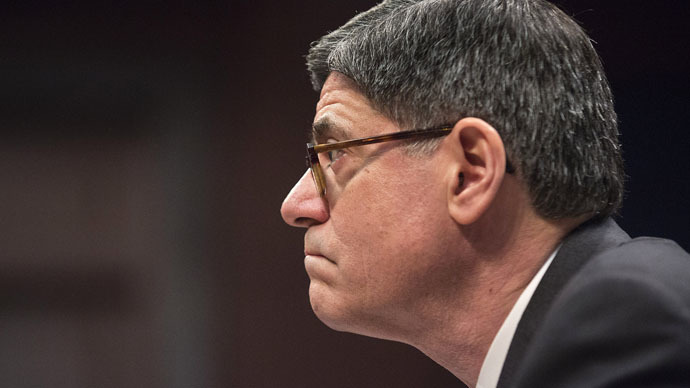 Facing the House Financial Services Committee on Tuesday, Secretary of the Treasury Jack Lew testified as to the importance of the International Monetary Fund and the World Bank to US economic and political influence around the world. These other members have been asking for more representation in the IMF, an institution originally established at the 1944 Bretton Woods conference. In 2010, its 188 member states adopted a package of reforms that would distribute influence more evenly, while keeping the IMF under the effective control of Washington. However, Congress has refused to approve the agreement. Earlier this year, the fund’s executive board decided to explore ways to move ahead without US approval by June 30. Proponents of the reform have pointed out that it would only reduce the US share of control over the IMF board from 16.75 percent to 16.5. Any amendments to the fund’s policies or operations require 85 percent of the board vote, meaning Washington would continue to have a de facto vote. “Through the IMF, the US gets to decide how to spend other people’s money. The IMF amplifies Washington’s influence. A deal to expand the IMF further is about as close to a free lunch for America as it gets,” wrote Brett House in Quartz magazine last month. The Treasury’s warnings come as a number of Washington’s European allies expressed interest in a new international investment bank created by Beijing last year. London recently said that it would join the $50 billion Asian Infrastructure Investment Bank (AIIB), with major European states following suit despite protests from Washington. International financial institutions such as the IMF and the World Bank “effectively leverage our limited resources in service of our national and global interests,” Lew told the lawmakers. If the IMF decides to proceed without US approval, the result would be “a loss of US influence and our ability to shape international norms and practices,” he said. However, the Congressional committee seemed far more interested in asking Lew about Hillary Clinton’s emails, since he served as one of her deputies at the State Department between January 2009 and November 2010.